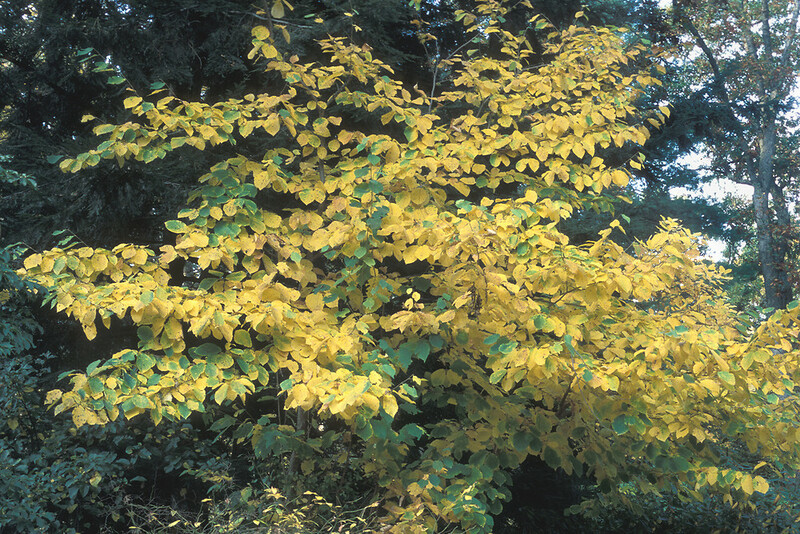 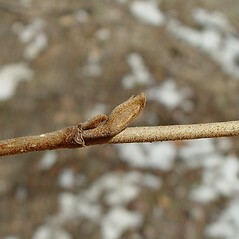 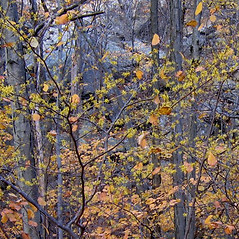 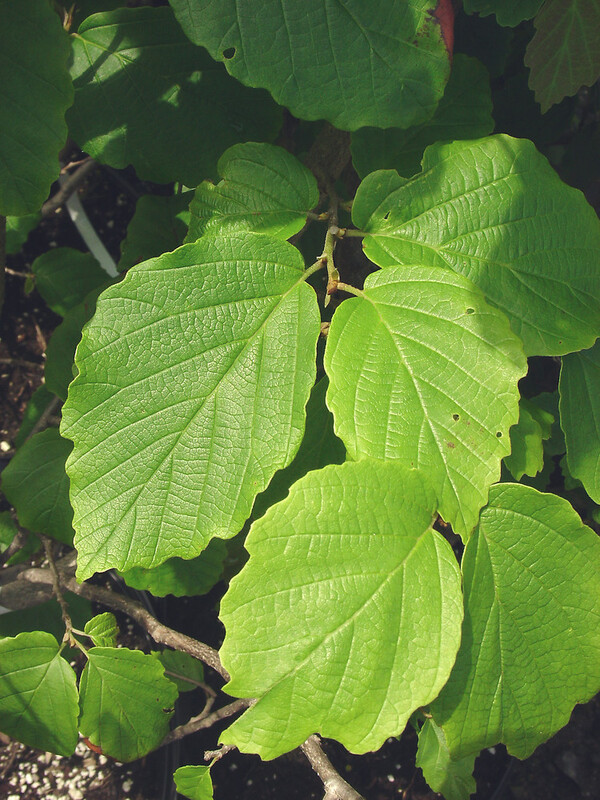 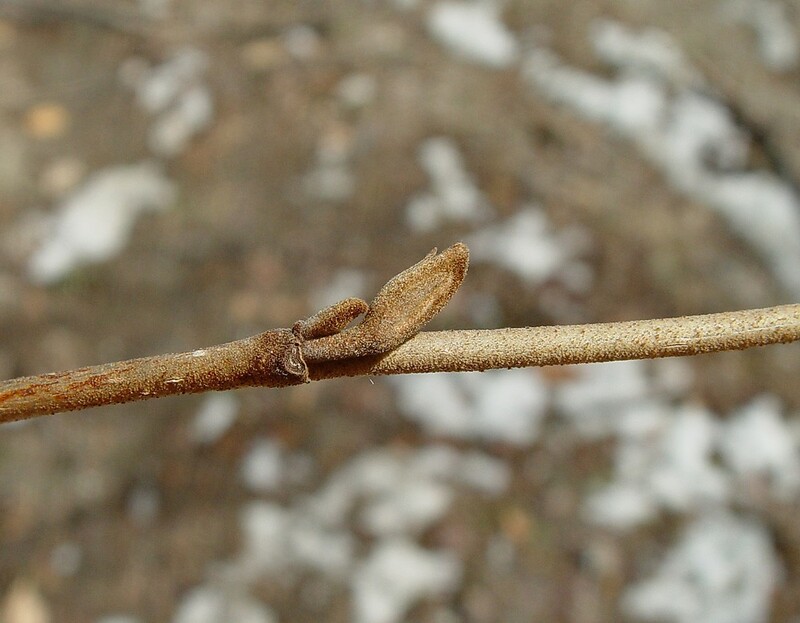 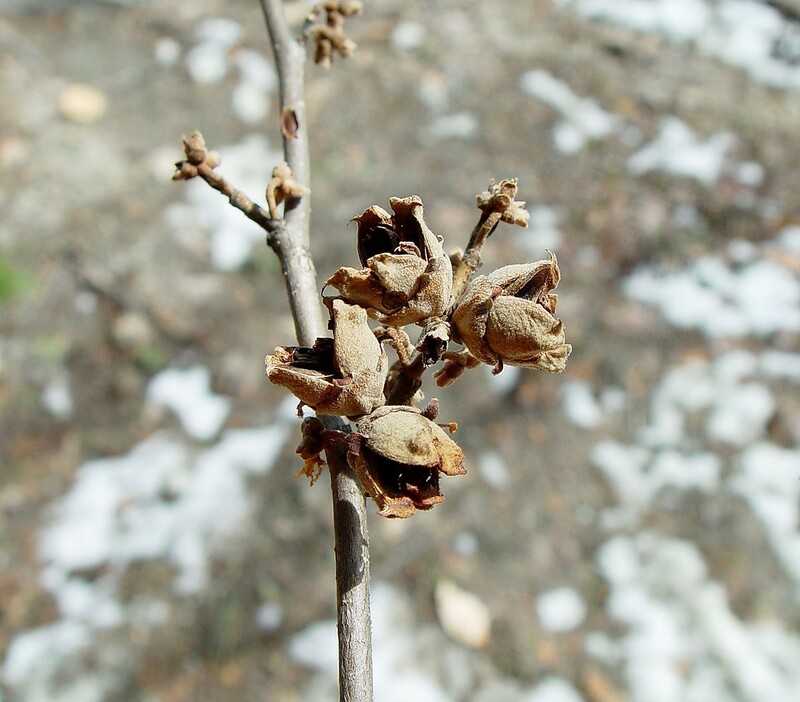 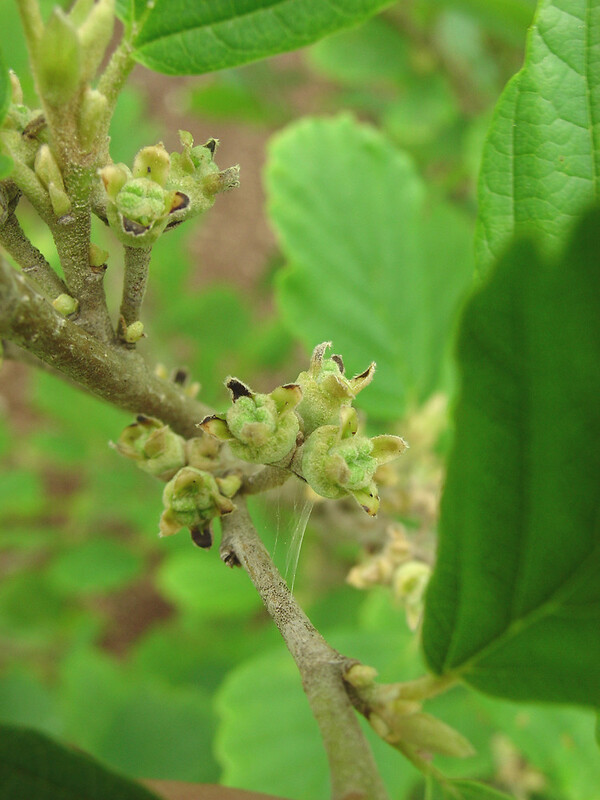 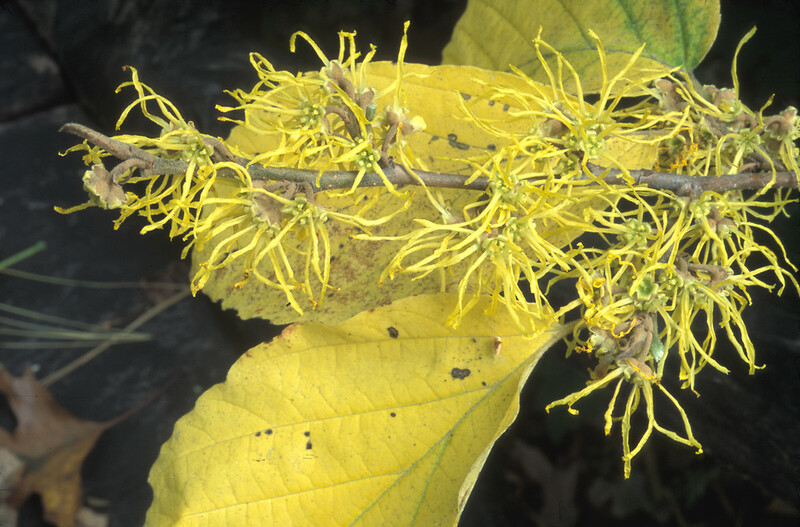 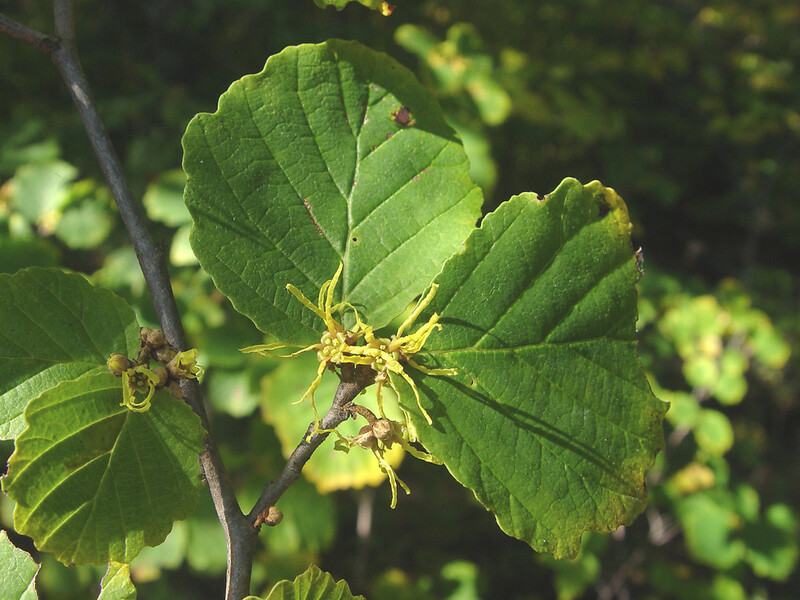 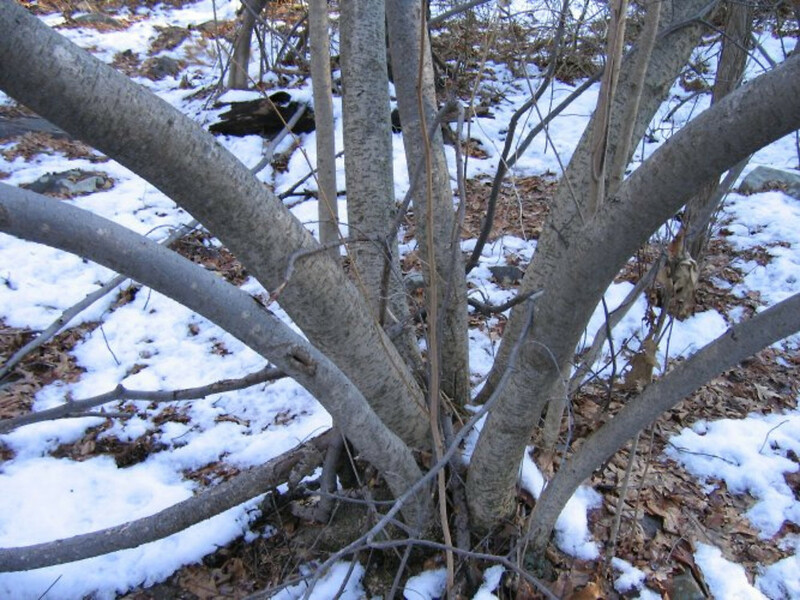 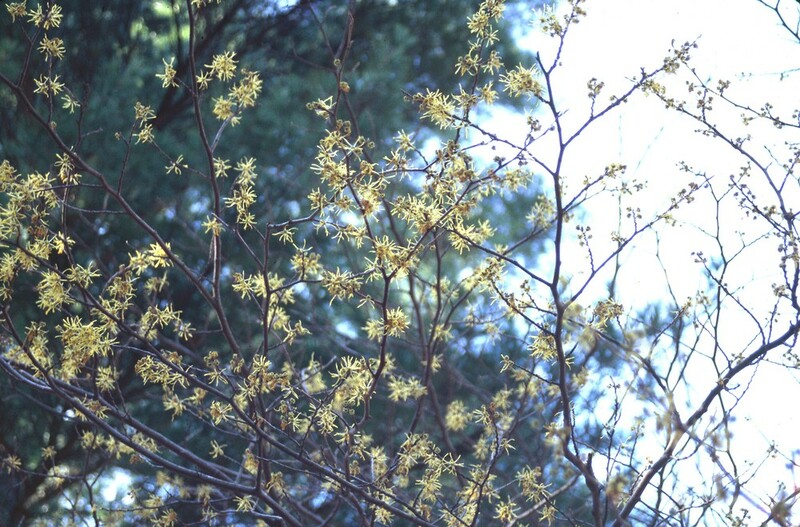 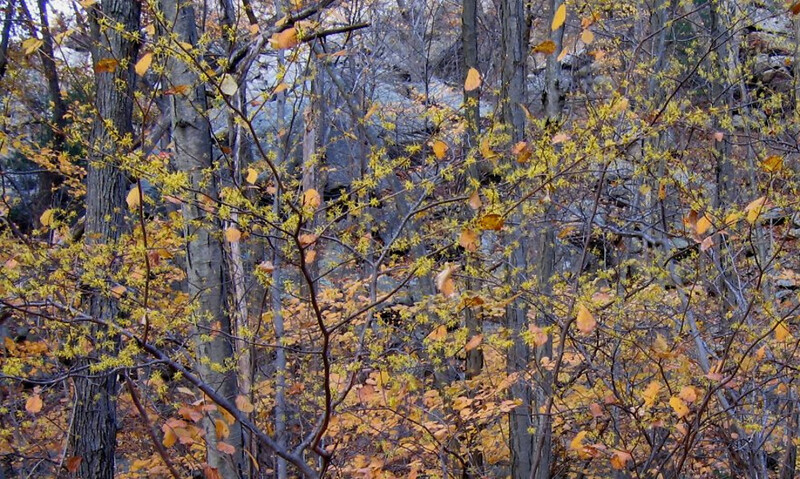 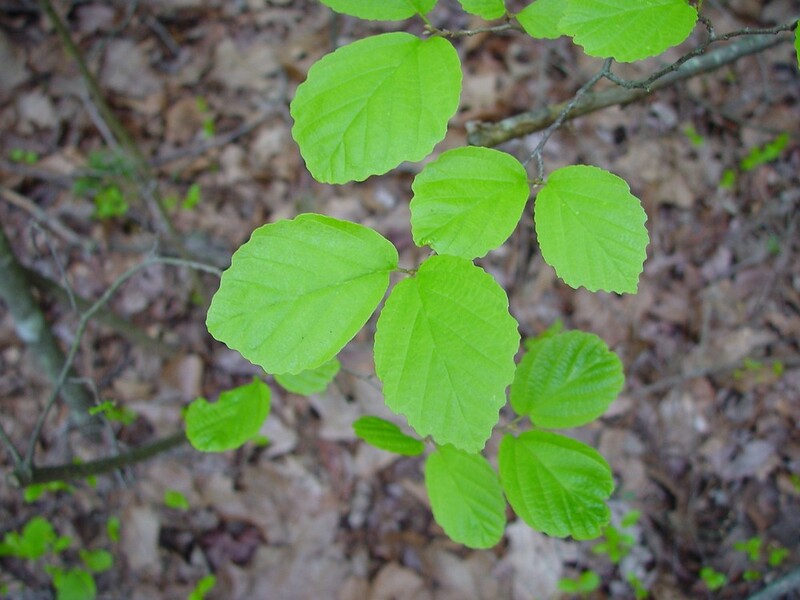 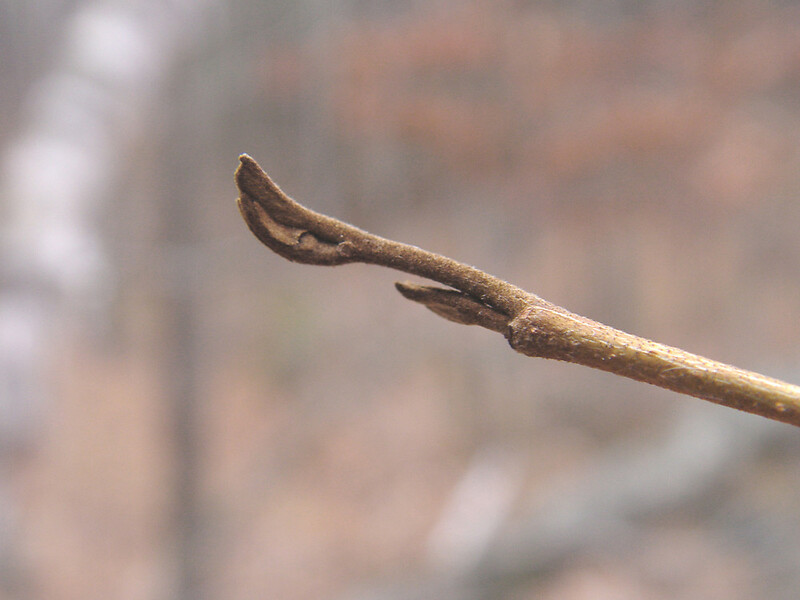 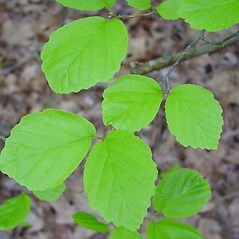 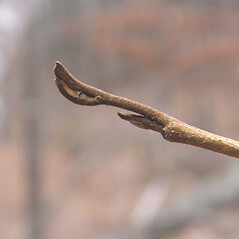 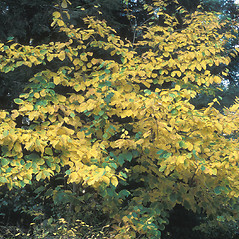 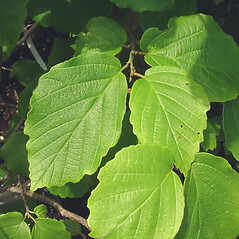 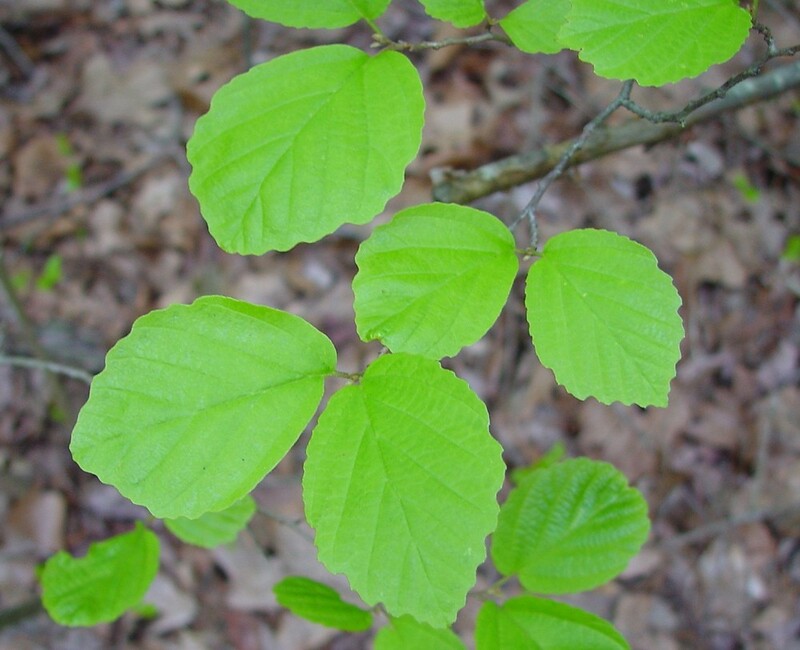 American witch-hazel is a small, spreading tree of the subcanopy. 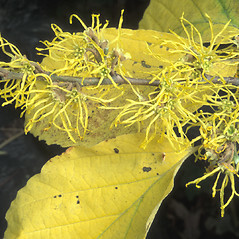 Its crinkly yellow flowers bloom in the fall. 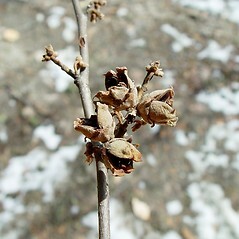 The fruits release the small, black seeds explosively, sometimes hurling them 30 feet (10m) away from the parent tree. 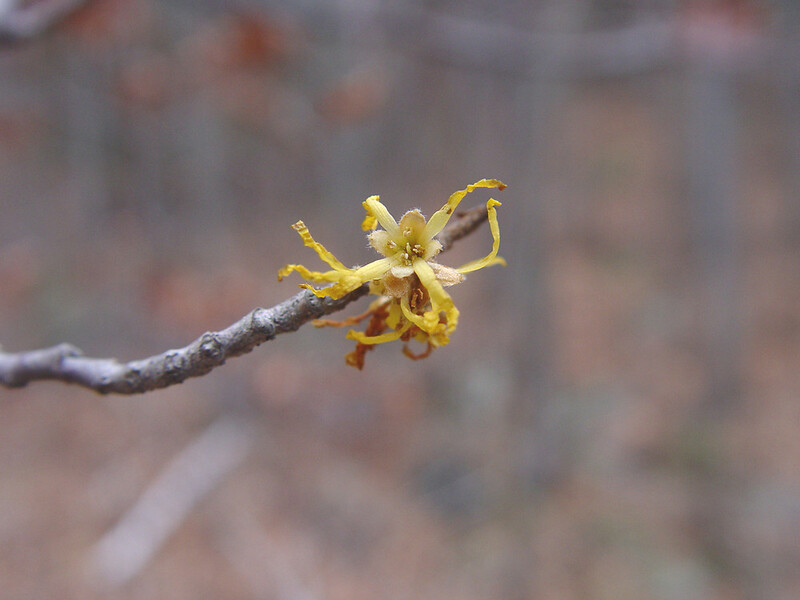 Extracts from the leaves, bark, and twigs provide the aromatic salve called witch hazel, used to sooth cuts and burns and the rasp of the shaving razor. 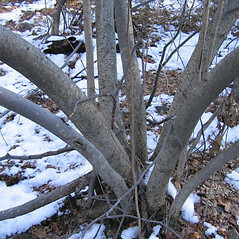 Branches of this tree have been favored as dowsing sticks for detecting underground water sources. 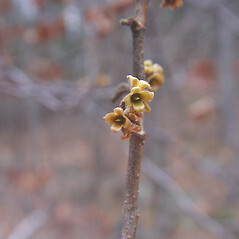 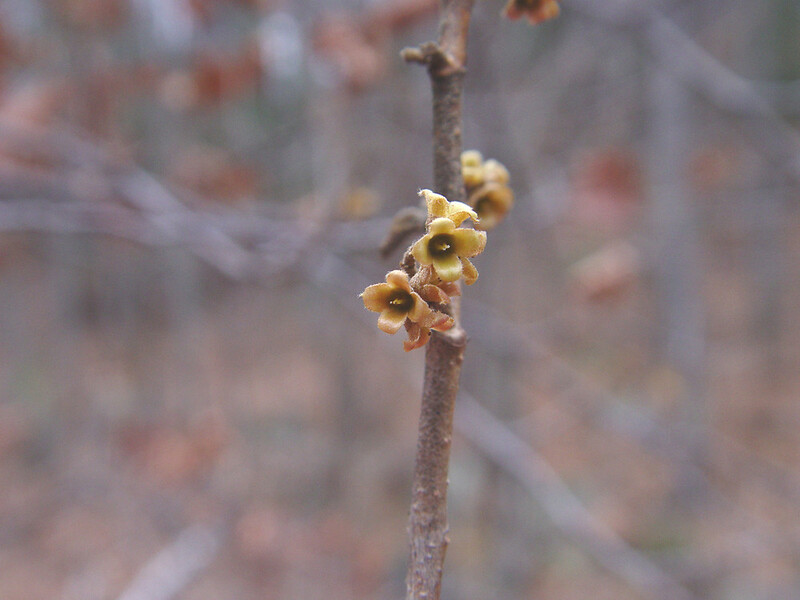 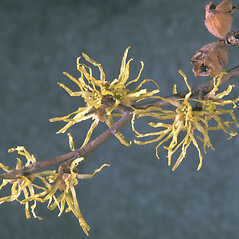 Hamamelis virginiana var. 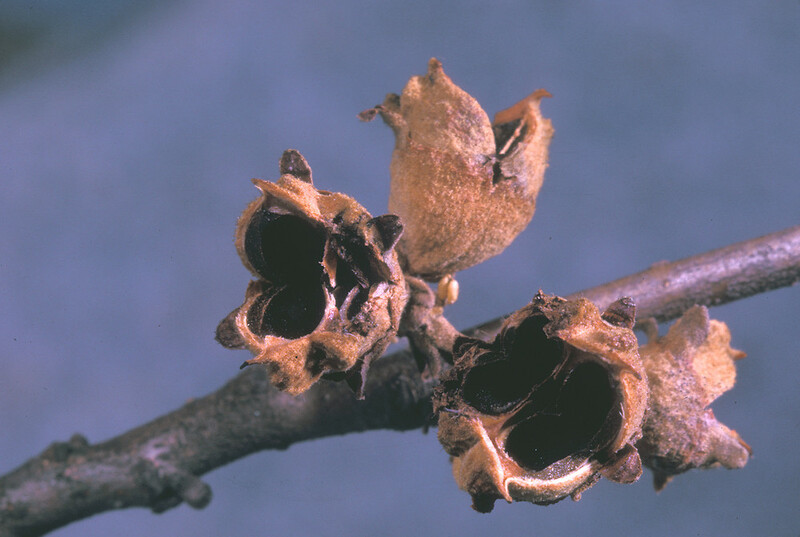 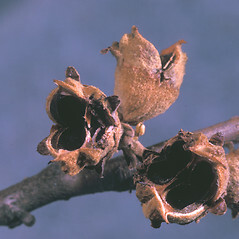 parvifolia Nutt. 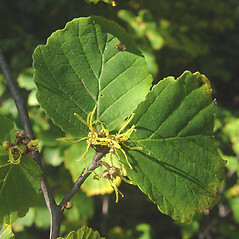 American witch-hazel. 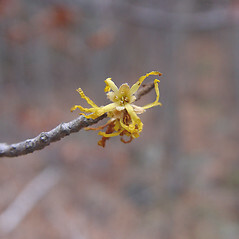 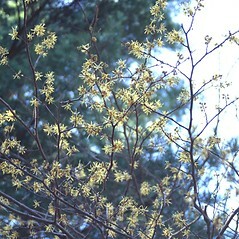 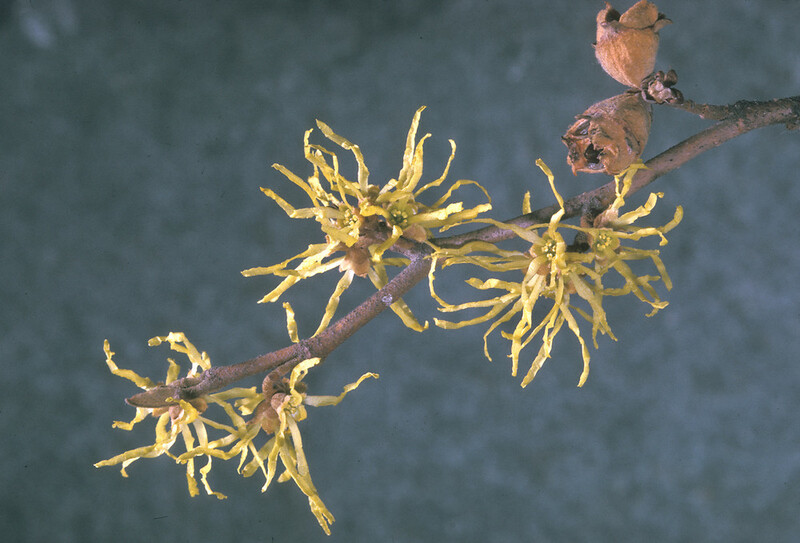 Hamamelis virginiana L. var. 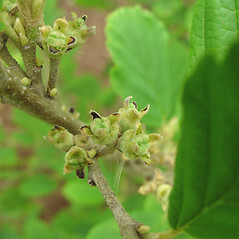 parvifolia Nutt. 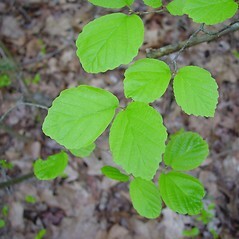 • CT, MA, ME, NH, RI, VT. Deciduous to mixed evergreen-deciduous forests, swamps, riparian forests, rocky slopes, forested talus.